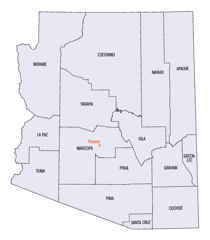 Mohave County is located in the northwestern corner of the state of Arizona. Based on the 2010 census, its population was 200,186. Mohave county was created in 1864. 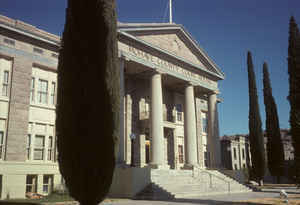 The county seat is Kingman, and the largest city is Lake Havasu City. Mohave county is named after the Mohave people. The word Mohave means "along the water," referring to the Colorado. Mohave is named after the Mohave Indians, one of the Yuma tribes. Mohave county is created out of the northwestern part of the Territory, and is surrounded on the west by the Colorado River. The remarks made of the river valley in Yuma County will apply to this county. The county lying east of the Colorado River is normally rolling and hilly, covered with nutritious grasses and an abundance of wood and timber. Stock thrives the year through without prepared food. There is a free pasturage in this county alone, yet uninhabited, for enormous herds, and many valleys of exceptional agricultural lands. It has been known since the society of the Territory, that nearly all the mountains in this county contained lodes of gold, silver, copper and lead, and, in 1863, an attempt was made to developed and work some of these lodes; some machinery was erected and considerable money expended, but as has been the case in nearly all new mining counties, hostility of Indians, extravagance, want of experience, etc., the investments proved disastrous, and the mining interest has been paralyzed, until within the past few months. Recently a few practical miners undertook the task of giving new life to this abandoned and almost forgotten field. Upon development, a number of lodes of gold and silver have been found, rich and extensive. A population of about five hundred miners has already accumulated in the Wallapai mining district. Machinery is being erected, roads built, and mines developed with a good prospect of excellent returns. The inhabited places of the county are Mohave City, located on the Colorado River; Hardyville, six miles above, and the Wallapai mining district. All merchandise are principally shipped tip the Colorado River, and landed either at Mohave or Hardyville, although wagon trains are constantly running from Los Angeles with goods for this section and the interior. As reported by the Census Bureau, the county has a total area of 13,461 square miles (34,860 km2), of which 13,311 square miles (34,480 km2) is land and 150 square miles (390 km2) (1.1%) is water. 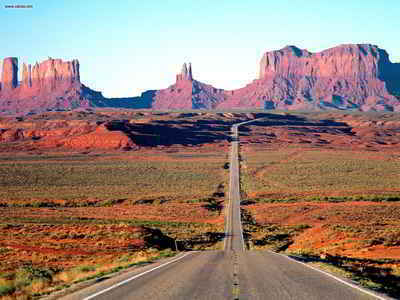 It is the second-largest county by area in Arizona and the fifth-largest in the Contiguous United States. 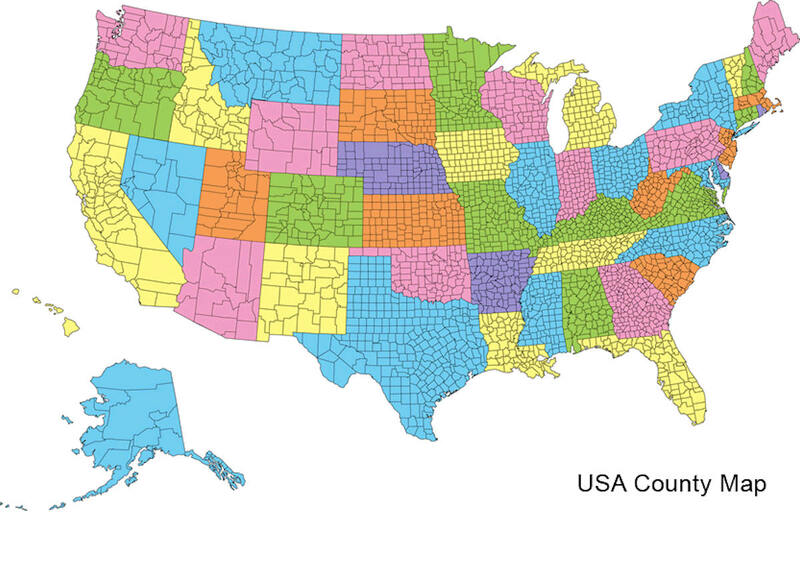 The county is made of two sections divided by the Grand Canyon, with no direct land communication between them. The northern section, smaller and less populated, forms the western part of the Arizona Strip, bordering Utah and Nevada. The larger southern section, borders Nevada and California across the Colorado River, which forms most of the county's western boundary. The southern section includes Kingman, the county seat, and other cities, as well as part of the Mojave Desert. Southwest: San Bernardino County, Calif.
Northwest: Clark County, Nev.; Lincoln County, Nev.